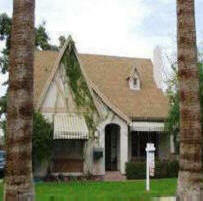 Victoria Place Historic District Homes For Sale - Historic Central Phoenix. Victoria Place was initially a pair of two-acre lots, each individually owned by FX O'Brien and Eric Hanson. The lots were positioned back-to-back and surrounded by larger five-acre parcels, which had, been platted before the housing demand at the turn-of-the-century. Population growth after 1912 necessitated denser urban neighborhoods be established closer to the Phoenix townsite. O'Brien's and Hanson's lots measured 200 x 875 feet, however, only the two shorter sides had street frontage. Neither of the parcels was large enough to be developed into the standard pattern of the area, so the two men merged their lots into a single subdivision. They laid out McKinley Street, which was initially lined with Ash trees, to run east west down the center of the parcel. This enabled lots with a standard 50-foot width, but only an 80-foot depth. The street right-of-way could be only 40 feet wide, narrower than the surrounding streets. This configuration of a narrow street and smaller lots established the unique site and spatial characteristics that distinguish Historic Victoria Place today. Although F.X. O'Brien and Eric Hanson platted the land, the primary developer of Victoria Place was the Valley Construction and Realty Company. Due to a slowdown in the Phoenix economy during World War 1, the subdivision developed in two distinct phases, the first from 1913 to 1920, and the second from 1924 to 1930. All of the homes in the second phase were completed after the war and before the effects of the Depression hit Arizona in 1930. Victoria Place was a typical middleclass neighborhood for early Phoenix. The residents were a mixture of many segments of society. Occupations of residents ranged from sales clerks and service sector employees to Southern Pacific Railroad workers. Homes in Victoria Place original cost was between $2000 and $2500, compared to $5000 and up in the wealthier neighborhoods developed in the same period. The appearance of Victoria Place illustrates the rapid shift in architectural design and styles that occurred before and after World War I. The west end of McKinley Street, built prior to the war, is almost entirely Bungalow Style homes. 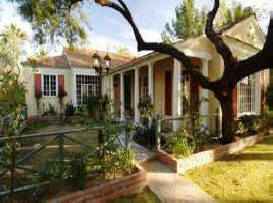 The houses constructed after the war are in the Spanish Colonial Revival Style. This second phase of Victoria Place also illustrates the growing prominence of the automobile; almost every home has a carport, while the earlier Bungalows do not. The contrast in the architectural styles, and the feeling of density created by the narrow street, is a unique characteristic of Victoria Place. To Phoenix located in one of the earliest additions to the Phoenix Townsite, Victoria Place is historically important for its association with the subdivision of the Dennis Addition as the Phoenix townsite expanded, and as a vestige of neighborhood development in Phoenix in the first decades of the 1900's. The distinct lot and street size set it apart from its surroundings and document its unusual development pattern. 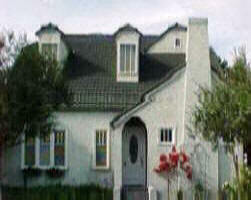 Architecturally, Victoria Place is important for its representation of the two predominant residential building styles in the community during the early twentieth century: Bungalow and Spanish Colonial Revival.